Tissue, ink, acrylic on canvas board. Framed. Medications designated ending in “-am” or “-pam” are generally benzodiazepines, which are anti-anxiety drugs called anxiolytics or “tranquilizers”. We know them better as Valium®, Xanax® and others. 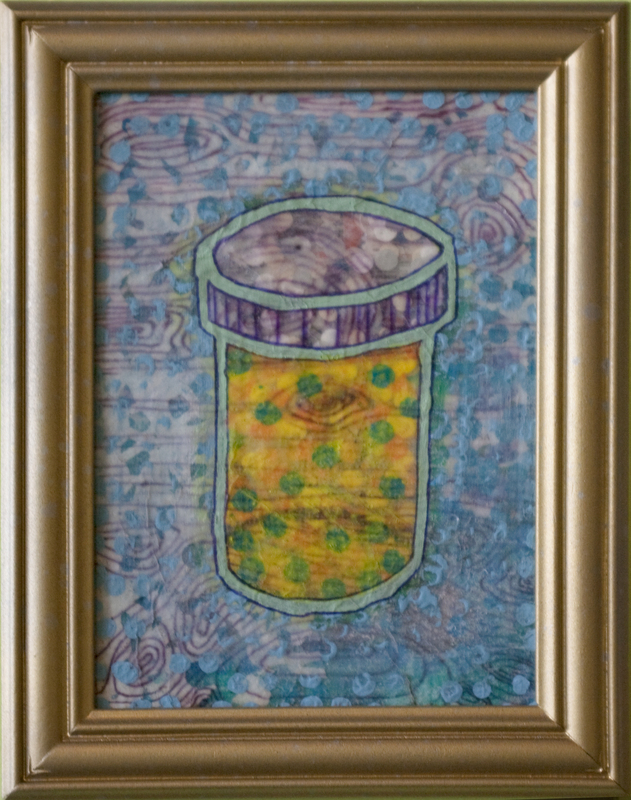 Category: Pill Bottles Tags: 2010, 5" x 7"